France-based Riber, the world’s leading provider of molecular beam epitaxy (MBE) equipment for depositing crystals in semiconductor manufacture, is using vacuum grade bearings and slides from HepcoMotion in one of its systems. Replacing an in-house unit that was proving unreliable, the solution from HepcoMotion allows Riber to set the system preload without any play in the mechanism. This ultimately provides much improved repeatability with a level of reliability not previously seen. 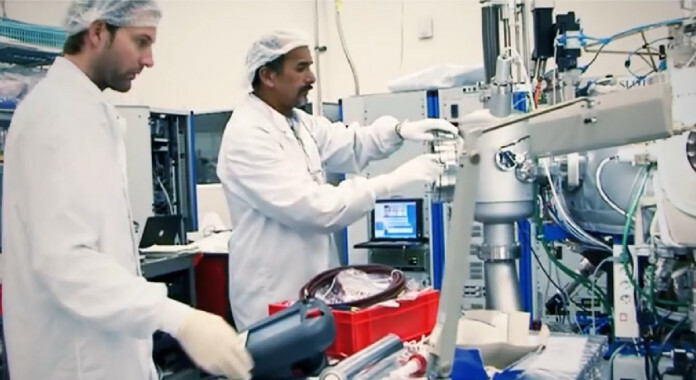 The MBE process used in the production of electronic devices requires silicon wafers to be positioned accurately within a high vacuum chamber. In itself this process highlights a number of challenges with respect to accuracy and smoothness of motion, with the added complication of the need to work at 10-9 mbar. Standard vacuum compatible systems often only work at conditions up to 10-6 mbar. 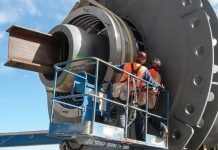 When engineers at Riber were tasked with sourcing a replacement positioning system, the company turned to HepcoMotion and its size 34 vacuum bearings. 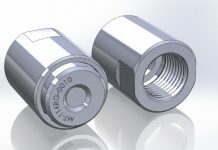 These complete stainless steel products were already proving highly successful in vacuum applications up to 10-6 mbar. 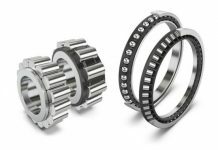 To achieve the higher vacuum suitability demanded by Riber, HepcoMotion used a special vacuum grease within the sealed bearings. This allows the product to operate at higher vacuums for extended process periods without fear of breakdown. In wafer transfer operations, the length of travel can vary, however, Riber’s standard solution calls upon flat SL2 slides (SSM44 x 1000mm long) with two VACSS SJ34C and two VAC SSSJ34E bearings fitted into a special carriage with the rack/pinion providing the drive solution. The configuration has been optimised to furnish Riber with an easy to install package. Riber now have a highly reliable solution that gives them the opportunity to vary the frictional resistance to suit the application load and maintain a high level of accuracy. A low friction system is vital if fretting corrosion is to be avoided where stainless steels are running together effectively dry. Any contamination within the chamber would compromise the process leading to a loss of wafers. Only a HepcoMotion V guide has been able to provide the level of confidence needed by Riber to satisfy this specialist application.